The 2016 Fort McMurray wildfire, which was nicknamed “The Beast,” resulted in the largest evacuation in the history of the province of Alberta, Canada. Experience with the approach and entry of the fire into the city was captured by citizens on video and shared on YouTube. This qualitative study, which drew from phenomenological and visual research methods, used YouTube videos as a data source for exploring peoples’ lived experiences with the wildfire, as well as how social practices with the use of different technologies influenced the types of experiences captured on video. Three main types of experiences with the wildfire were portrayed in the videos analysed for this study. The first type of experience was watching the wildfire approach the city, the second was fleeing through fire, and the third was watching your house burn. 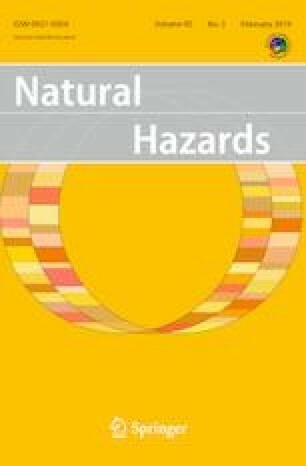 These experiences reflected a temporal sequence, as well as a change in the nature of activity and spatial relationship with the hazard over time. Recording technologies used to capture experiences with the fire included cell phone cameras, dash cams, and home monitoring cameras. Each of these different types of technologies offered different affordances, which enabled both first- and second-hand witnessing of experiences with the wildfire. This study advances knowledge about human experience with wildfire hazards, as well as citizen use of YouTube video in disaster contexts. I am indebted to the people who recorded and shared their personal experiences with the 2016 Fort McMurray fire. While these recordings are intensely personal, they were also shared publicly and this created the opportunity to study and learn from these experiences. Acknowledgement is also given to Royal Roads University for time given for a research leave, which gave space for exploring the use of painting in research and this resulting study of YouTube videos of the wildfire. Thanks are also extended to the anonymous reviewers, whose recommendations were helpful and appreciated.